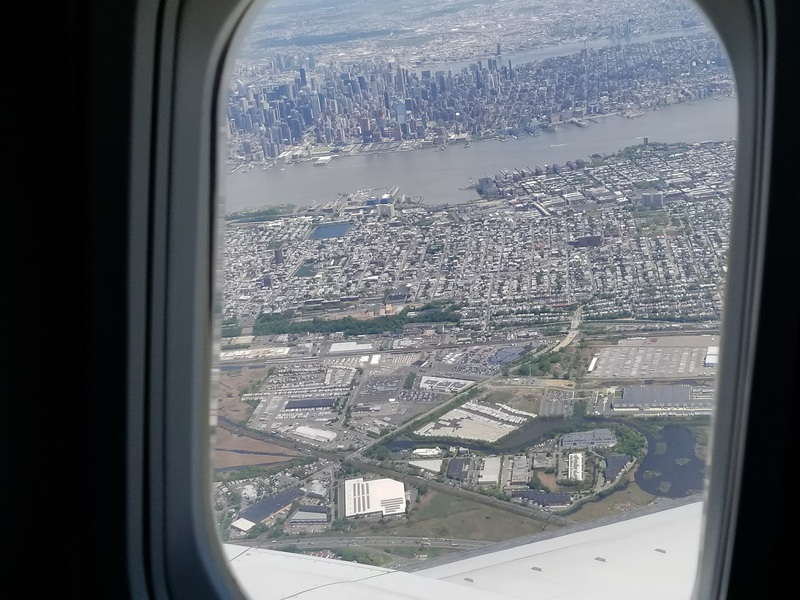 Yesterday, we unveiled the newest generation 2Ku in-flight WI-Fi technology during two demonstration flights out of Newark International airport. The two flights took place on “Jimmy Ray”, our Boeing 737-500 flying test lab. Our plane has been equipped with the newest 2Ku modem, and connected to High Throughput Satellite technology from Intelsat. Through the combination of this new modem and satellite, we planned to show that 2Ku offers the fastest in-flight performance available, allowing passengers to get online at speeds similar to those on the ground. Our 2 flights boarded out of the Newark International airport Signature Flight Services terminal, located at the opposite side of the airfield. Signature offers a VIP boarding experience for private aviation and helicopters. 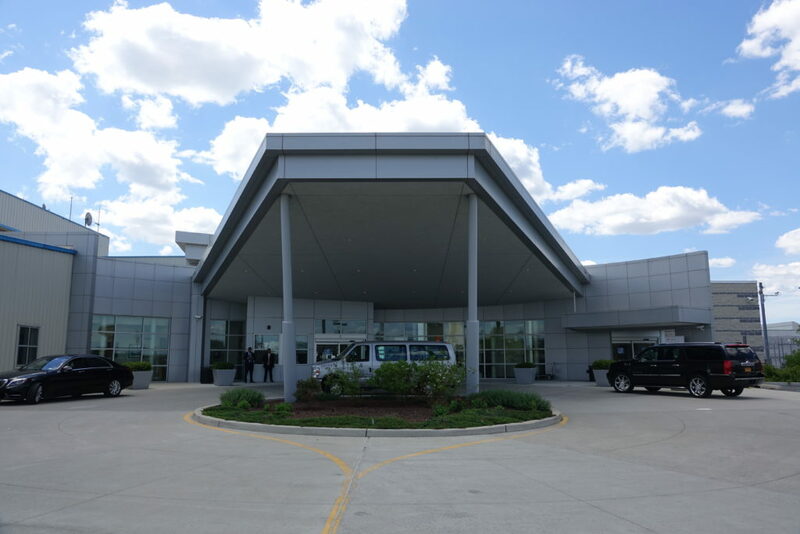 Their terminal also offered us the opportunity to let our guests board in style, and provided room for a Q&A session with our CTO, Anand Chari and our COO, John Wade. 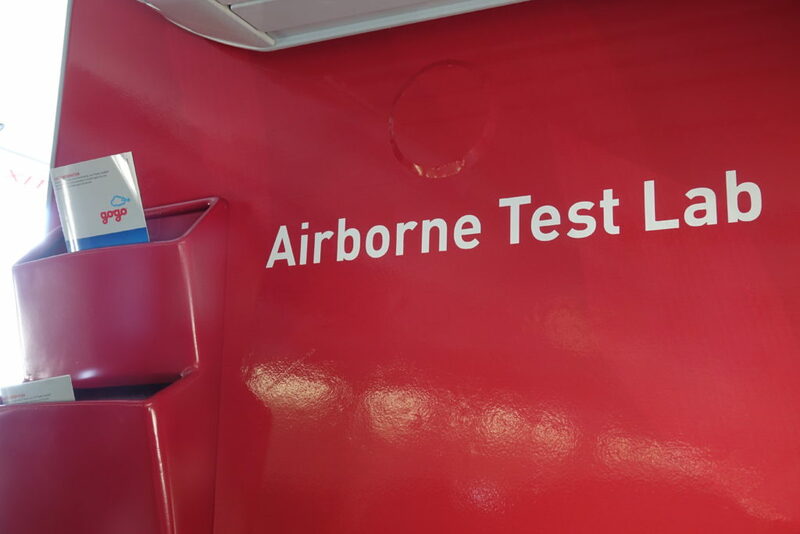 Of course, boarding a private plane means a much quicker boarding procedure, and offered our guests the chance to walk around the plane for photos before settling into their first class seat aboard our flying test lab. 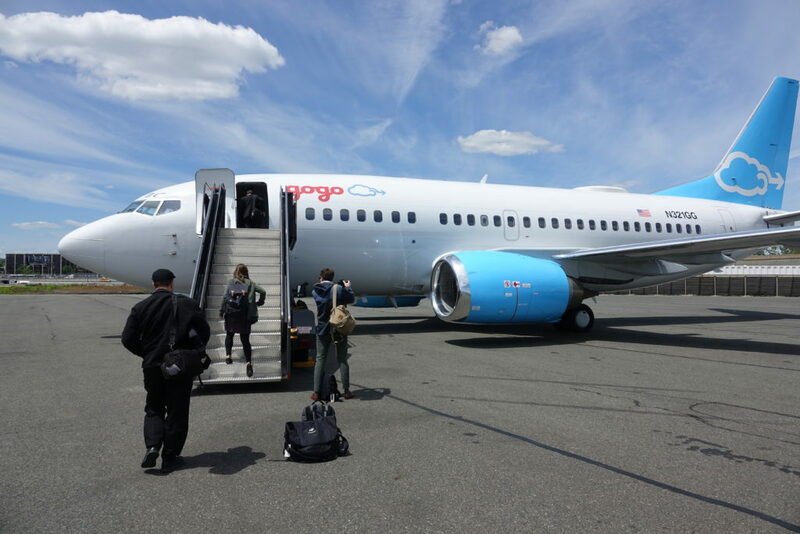 To read more about what our plane has to offer, visit this previous Concourse blog post. Once on the plane, our guests took out their gadgets, and immediately got online – one of the advantages of our 2Ku satellite Internet service is its ability to operate on the ground, which of course offers much more time to be online. Testing by our guests varied from speed tests to streaming Netflix movies and streaming live video to Facebook and Twitter. With 2 or 3 devices each, we quickly had over 50 devices online. Despite this, the 2Ku system performed perfectly, and speed tests continued to show incredible results. As you can see, the experience offered by this newest generation 2Ku is beyond anything ever seen in-flight. Our guests went through a record amount of data during the 90 minute test session, and at one point we were sending 5 different live broadcasts off the plane to viewers on the ground. We’re excited to let everyone experience this new technology, and later this year, all new 2Ku installations will start using this new modem. On our flight back to our home airport, we performed one final speed test, delivering what could be the fastest speed ever seen on a commercial aviation Wi-Fi system.